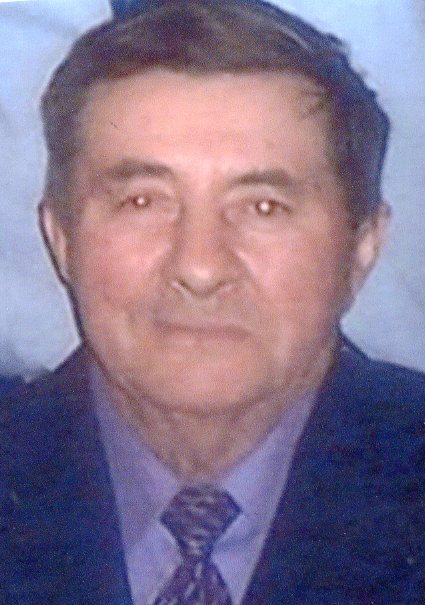 ZERVAN, Steve, Sr. – of Albee Twp., passed away peacefully at Hospice House of Shiawassee on Monday, April 15, 2019. He is now in the loving arms of our Lord and Savior. He was 88 years of age. Steve was born December 18, 1930 in Saginaw to the late Stephen and Anna (Koviak) Zervan. He was united in marriage to Barbara McAuliffe on February 8, 1958. She preceded him in death on February 11, 2007. Steve was a lifelong farmer in Albee Township. He was well known for his high quality produce stand and huge abundance of all vegetables, that he made available at his road side stand. He enjoyed gardening, hunting, fishing and dancing. Surviving are: children: Stephen Jr., Christopher (Cheryl), James (Cheryl), Mary, and Veronica (Elena); grandchildren: Tina, Jacob, Brigitte, Kelly, Kevin, Caleb, Carrie, Craig, Carlie, Benjamin, Jeremiah and Michael; 16 great grandchildren; many nieces and nephews. He was also preceded in death by: daughter, Rose Losee in 2015; two brothers, Mike and John Zervan; three sisters, Mary Wendling, Katie Keeler, and Margaret Clark; and a daughter-in-law, Cheryl (Sleeseman) Zervan. Honoring his wishes, cremation has taken place. A memorial Mass will be held at 11 a.m. Thursday, April 25, 2019 at St. Mary’ Catholic Church of Albee. Inurnment to follow in St. Mary’s Cemetery. Visitation will be at the church on Thursday from 10 a.m. until time of Mass at 11 a.m. The family extends a special thank you to the staff of Hospice House of Shiawassee for their loving care. Memorial contributions may be made to the Hospice House of Shiawassee. You may light a memorial candle or share a memory at misiukfuneralhome.com. There's still time to send flowers to the Visitation at the St. Mary Church of Albee from 10:00 AM to 11:00 AM on April 25, 2019.